Like many aspects of the tech business, the world of devices is driven by a number of simultaneous, but sometimes conflicting, trends. For years, much of the focus in devices was centered on which device would “win”. Somehow, the idea became widespread that, in order for one device to win, others had to lose. As a result, we saw things like PCs being pitted against tablets in battles for the top device. But then, as smartphones started getting more powerful and endowed with larger screens, they became the one device to rule them all. Several years into these battles, it’s obvious they were a fundamentally flawed way of looking at the world and understanding how the industry has evolved. Instead, it’s increasingly important to look at different combinations of devices and figure out which types of devices work well in tandem. From that perspective, it seems abundantly clear the most compelling set of devices for many individuals is a large screen smartphone and a thin, lightweight 12-13” screen notebook -- preferably touch-enabled. Whether in a business environment or for personal usage, this combination seems to be the “dream team” of devices, offering access to virtually any type of application, information or experience in virtually any environment. From real time social media and media consumption of all sorts, to document creation, information access, data analysis, messaging—it’s hard to imagine what you can’t do with these devices. The most compelling set of devices for many individuals is a large screen, touch-enabled smartphone and a thin, lightweight 12-13” screen notebook, preferably with touch as well. Much of these results are due to the individual capabilities of each of the devices but, in conjunction with a data tethering package on your smartphone, you can also use the two together as a very effective package. Most notably, you can use your notebook in any environment you’d want, without the expense and hassle of paying for an extra modem and an extra data plan. I can’t tell you how many times I’ve enabled the personal hotspot feature on a smartphone to get access to email or a web site on my notebook. Conversely, there are often times I discover things first on my smartphone but want to access information in more detail on a larger screen on my notebook. And yes, believe it or not, there are still a reasonable number of web sites out there that only work to their full ability on a PC. 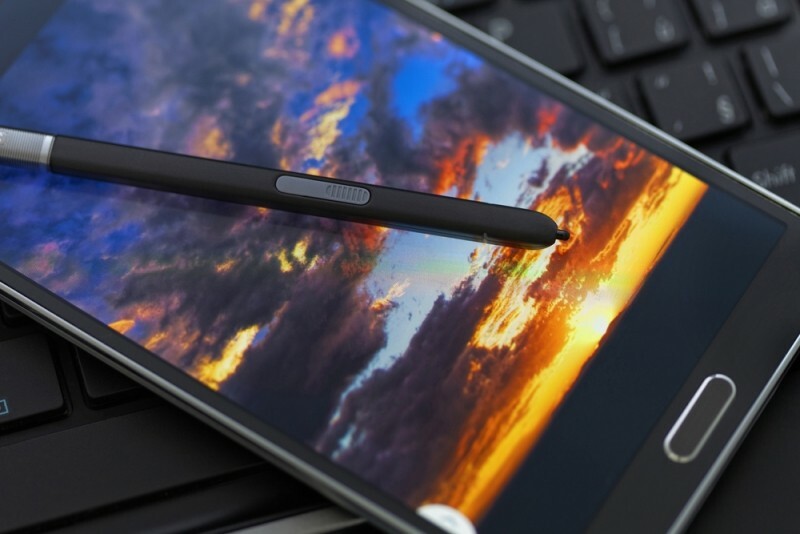 When tablets first hit the market, there were many who somehow thought one device was in fact going to offer the best of both worlds—the mobility and connectivity of a smartphone with the large screen of a notebook. As time has gone on, however, it’s become clear this view of the tablet did not come to pass. Tablets certainly have their roles, but they haven’t been able to take on that idealized vision of the single device, or even the primary device. As the results from yesterday’s amazing Apple quarterly earnings clearly illustrated, large smartphones like the iPhone 6 and 6 Plus are driving enormous changes in the market and it’s PCs (or in Apple’s case, Macs) that are maintaining a key role as well. Tablets like the iPad, on the other hand, are now suffering through a tough decline. In fact, the rate of iPad’s sales decline is now on the increase. While Tim Cook remains optimistic for a turn-around, eight straight quarters of decline is pretty hard to ignore, and even he acknowledged the cannibalization of iPad sales by both larger iPhones and thinner Macs. Of course, in Apple’s case, that’s not really a terrible thing, as they generally make better profits on iPhones and Macs than they do iPads anyway. Longer term, I still believe there are fundamental challenges facing the tablet market. However, given the potential benefits larger smartphones and thinner notebooks working in tandem can bring to many people, I’m still reasonably optimistic about the PC market’s future. Clearly, it will suffer through some declines in the short term but, by being seen, understood, and positioned as part of a device “dream team,” I think there are better opportunities than many currently believe.